New Jersey, like all other states, including Pennsylvania, maintains its own separate constitution which maintains similar articles as those contained in the United States Constitution. A major topic in the criminal defense area is the issue of illegal searches and seizures, which is contained in the Fourth Amendment to the United States Constitution and Article 1, Paragraph 7 of the New Jersey Constitution. It’s important to keep in mind that these provisions appear almost identical but, the New Jersey Supreme Court and the Appellate Division of its Superior Court (trial court) have interpreted Article 1, Paragraph 7 of the State Constitution as providing significantly more protection in the area of warrantless searches than would otherwise be available under the Federal Constitution. This is one of the reasons why during any motion to suppress evidence in New Jersey or Pennsylvania, it is extremely important that the arguing criminal defense attorney cite both the state and federal constitution during an oral argument before the court and in their written motion and supporting memorandum of law. Whether the person has legitimate expectations of privacy in the areas searched or the thing seized. If there is no expectation of privacy, police are under no expectation to act reasonably and can pretty much do anything they want! If there is a legitimate expectation of privacy, police must act reasonable, which means either under a search warrant or a recognized exception to the search warrant requirement. With or without a warrant, police must act reasonably in the means and methods used to conduct the search. The most common warrantless search in New Jersey, as in most states, is the car or motor vehicle search. The most common exception to the search warrant requirement for a car is the plain view exception in which police observe contraband (drugs or guns) in plain view which gives them probable cause to seize the item. Like Pennsylvania, there is a diminished expectation of privacy in a motor vehicle in New Jersey as compared to a person’s home or residence. Remember that there must be probable cause to search but before a court will determine probable cause it must evaluate reasonable suspicion, which is a lower form of probable cause. Reasonable suspicion is more than a hunch or an educated guess but some basis to believe that a crime is being committed or was committed and that evidence exists of that crime. Increasingly New Jersey courts are requiring reasonable suspicion before police may take any investigative action following a vehicle stop. Police in New Jersey must have at least reasonable suspicion to even ask for consent to search a vehicle and also need reasonable suspicion to conduct a protective sweep during a vehicle stop. Like Pennsylvania, New Jersey determines probable cause based on a totality of circumstances analysis and an objective standard of reasonableness. There are many situations in New Jersey where police conduct a search without a warrant on a vehicle. It’s important to keep in mind that, while a warrantless search is on its face illegal, the issue of inevitable discovery may cause a court to still find that the evidence is admissible despite being a product of an illegal search. In order to use the inevitable discovery rule however, the state (prosecution) must prove by “clear and convincing evidence” that proper, normal, and specific investigative procedures would have been pursued and that using those procedures, the evidence would have been inevitably discovered independently. 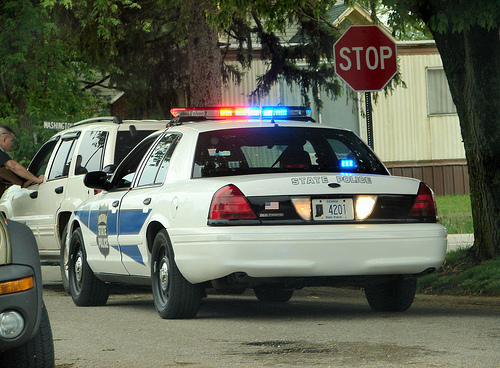 The most common use of the inevitable discovery rule would be during an inventory search where police must tow a vehicle following a stop based on an alleged safety issue or for the mere fact that it is blocking traffic. For more information on New Jersey criminal defense tactics and strategies I encourage you to keep reading my blog.